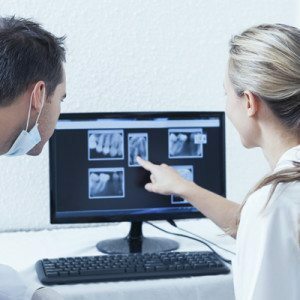 As the best choice for family dentistry Eugene has we know that regular checkups and x-rays are fundamental for the best possible oral health. We recommend that each patient visit our office every six months. For those with specialized treatment needs, visits will be customized to meet each and every need. 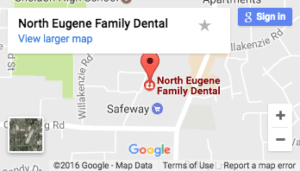 Regularly scheduled visits to North Eugene Family Dental are an essential part of your dental health, preventing gum disease and keeping your smile healthy and bright! Part of our dental practice at North Eugene Family Dental is to instruct our patients regarding appropriate at-home dental hygiene to maintain optimal oral health and a healthy smile for life. 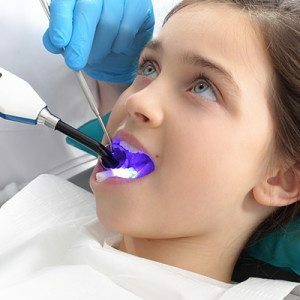 Dr. Kirchmeier’s team will guide you in all features of at-home dental hygiene, including proper brushing and flossing techniques. Dr. Kirchmeier may decide that fluoride should be part of your overall treatment. Fluoride treatments re-mineralize teeth, stop developing cavities and make your teeth more resistant to acid attacks from plaque, bacteria, and sugars in the mouth. If you are looking for a kids dentist in Eugene that believes in fluoride, contact us today. Dr Kirchmeier and his dental team use the latest fluoride delivery system. It consists of a brush on Fluoride varnish that provides three times the protection as the standard gel. Plus it is much easier and less messy to apply. 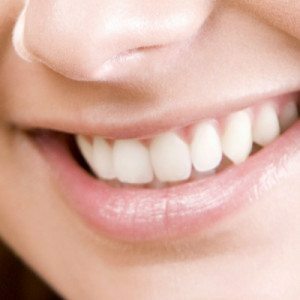 Dr. Kirchmeier can provide this simple procedure in one visit, in which a tooth-colored acrylic “coating” is painted onto the surface of the tooth. Generally, sealants take only a few minutes to apply, wear well under ordinary circumstances, and can last several years before a reapplication is needed. In cases where there is already minor breakdown of the enamel surface, a simple preventative resin restoration can be placed after the infected enamel is gently removed with our state of the art micro abrasive unit. This can be achieved pain free with no need for numbing. North Eugene Family Dental offers you and your team a chance to keep your teeth safe during athletic practices and competitions. 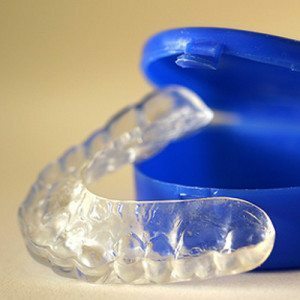 We make custom mouth guards that fit precisely to your teeth and bite. They’re extremely comfortable, provide superior protection and allow you to be understood when speaking. A properly fitting mouth guard can lessen the chance of a concussion at very little actual cost. Coming in for your check-up every six months is a great way to prevent oral cancer. We have a variety of tests that help us detect oral cancer. Dr Kirchmeier performs an extensive oral cancer screening at each dental exam. 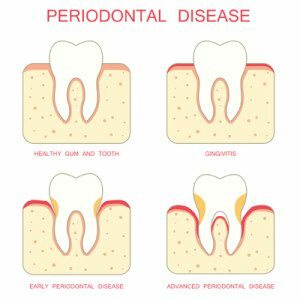 Periodontal disease, also known as gum disease or periodontitis, occurs when the bone and gums around teeth become infected. Gums can become irritated as a result of the bacteria found in plaque, at times turning red, swelling and bleeding easily. If the condition remains untreated, the gums separate from the teeth, causing spaces (also known as “pockets”) to develop between the teeth and the gums along the gumline. The result is the deterioration of gum tissue and bone, leading to tooth loss. Scaling and root planing is a common treatment for periodontal disease. This method allows Dr. Kirchmeier and his registered dental hygienist to provide a deeper cleaning between the compromised teeth and gums, preventing progression of the disease. Endodontics is the performance of a root canal. Sometimes the nerve in a tooth dies and then quite often becomes infected. This is the main source of a “tooth ache”. When this happens there are only two choices for treatment. One of them is to extract the tooth and the other is to do a root canal. Thanks to great advances in dental technology, today’s root canal is performed in much less time and with virtually no pain involved. During a root canal, Dr. Kirchmeier makes an access to the hollow middle of the tooth where the nerve, artery and vein (pulp) reside. 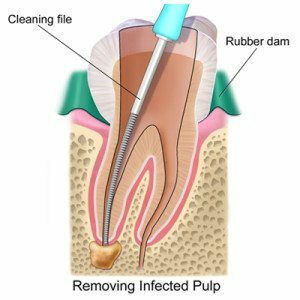 The pulp is removed and the canal is sterilized and then sealed to keep out bacteria. The access is then closed with a buildup and in most cases a crown is required to ensure the longevity of the tooth. 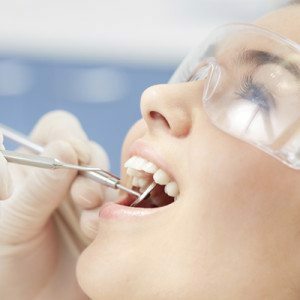 With endodontics we are able to extend the life of a tooth by many years.